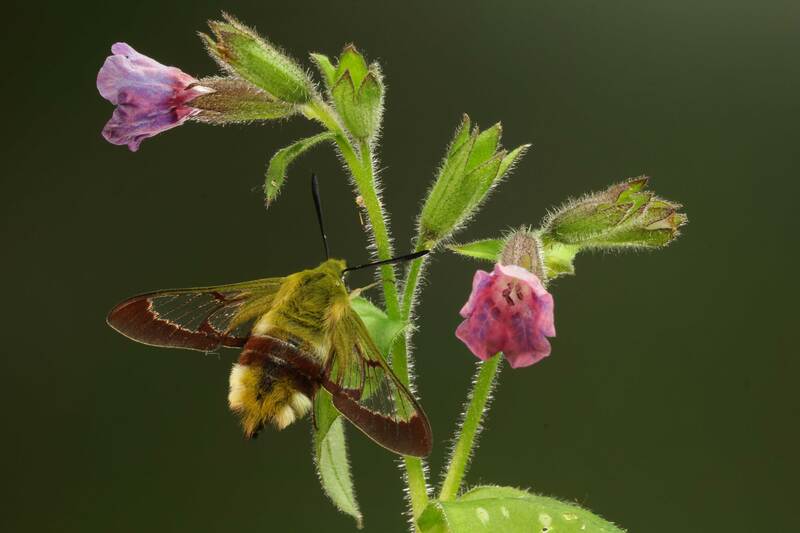 A small fat hawk-moth with transparent wings that are edged in dark red, as opposed to the dark grey/black edging on the Narrow-bordered Bee Hawk-moth. It nectars on honeysuckle and rhododendron in flight unlike any of the similar looking bumblebees, which always alight to feed. On chalk grassland it visits vipers-bugloss, yellow rattle and ragged robin among others. Mid-May to early July, sometimes August/September. Open rides in woodland, heathland and grass downland.